Summary: Comprising 60,000 businesses, civic organizations, elected officials, community leaders and Colorado residents, Vital for Colorado is the largest and most diverse coalition assembled in Colorado history. Founded in 2013 amid increasing attacks by out-of-state and extreme environmental organizations, Vital for Colorado brought together a broad array of stakeholders who value responsible and sensible energy policy in Colorado. 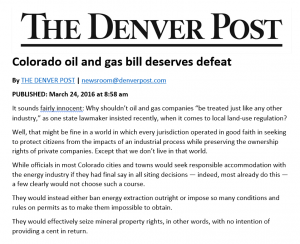 An organization dedicated to promoting the economic benefits of responsible energy development in Colorado, Vital for Colorado has stood on the forefront of the energy debate, advocating for a rational, well-regulated and competitive regulatory environment that allows energy production in the state to thrive responsibly. Led by a pro-active, diverse board of broad-based business, legal and agricultural leaders, Vital for Colorado’s board of directors have charted a disciplined and engaged strategy aimed at building a strong coalition giving voice to Colorado’s pro-energy community. Coalition Development: Through thousands of hours of meetings, discussions and outreach to local leaders, civic organizations, small business owners, and door-to-door canvassing to reach Colorado residents, Vital for Colorado assembled a coalition that is both broad-based and bipartisan to effectively advocate for sensible and smart energy policy in Colorado. 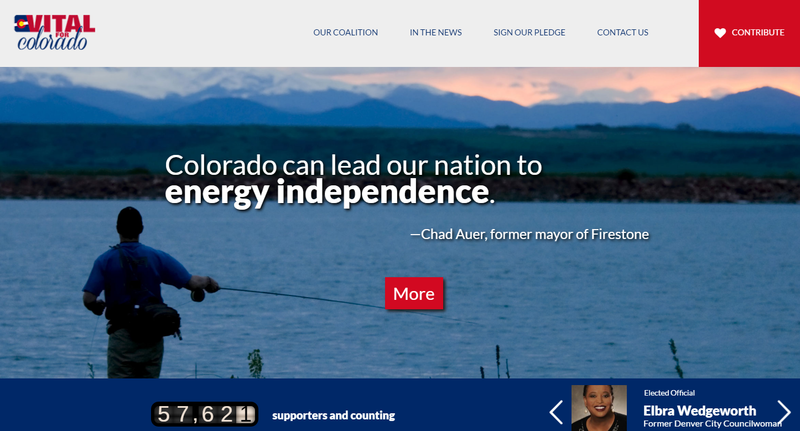 The coalition was built based on Vital’s 7-principle pledge: 1) Recognize the economic benefits of oil and gas development, 2) Be a national leader in energy policy, 3) Maintain Colorado’s history of safety, 4) Rely on science, facts and data to dictate policy, 5) Integrate backup sources, 6) Promote comprehensive regulation, rather than a patchwork of confusing and contradictory policies, and 7) Employ a non-traditional approach. Grass Roots Mobilization: When anti-fracking activists sought to put two constitutional amendments on the statewide ballot that would cripple oil and gas production in Colorado, Vital for Colorado engaged its membership to build an opposition to the effort that informed voters on the proposed measures’ devastating consequences and successfully encouraged Coloradans to decline to sign petitions to qualify the measures for the ballot. The two efforts failed to attract enough signatures, preventing a costly and divisive ballot battle in 2016. Likewise, when anti-fracking activists attempted to recall a member of the Thornton City Council for no reason other than she worked in the oil and gas industry, Vital for Colorado engaged its supporters in and around Thornton and successfully stopped the recall attempt by informing citizens on the malicious nature of the recall. Recall organizers ultimately fell short in their signature collection effort. in public energy policy in Colorado. 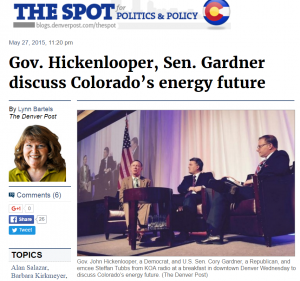 As a state that values and needs a responsible energy policy that helps propel the economy forward while retaining strong regulations to protect its environment, Colorado is often at the epicenter of many of the nation’s energy debates. Vital for Colorado has brought together many of the important actors for important debates and issue education activities.